French Polynesia Diving Holidays | travel&co. Paradise. There’s no better way to describe this cluster of 118 islands in French Polynesia. It’s combination of low-lying atolls, inner lagoons, white sandy beaches lined with green coconut palms, steep green mountains and stunning waterfalls provide a stunning backdrop to an outstanding dive destination. French Polynesia boasts 2.5 million square km of ocean which is home to bio-diverse coral reefs, wrecks and exceptional marine life. Scattered throughout its 118 islands are locations that just shout epic dive experiences. Fakarava and Rangiroa are key dive locations which make French Polynesia one of the world’s top dive destinations. 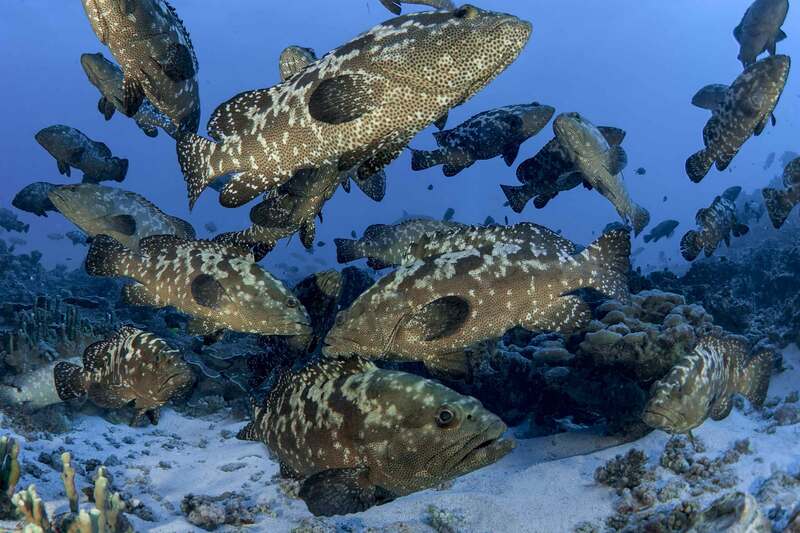 Known as the island of the endless lagoon, Rangiroa offers incredible world class dive experiences. 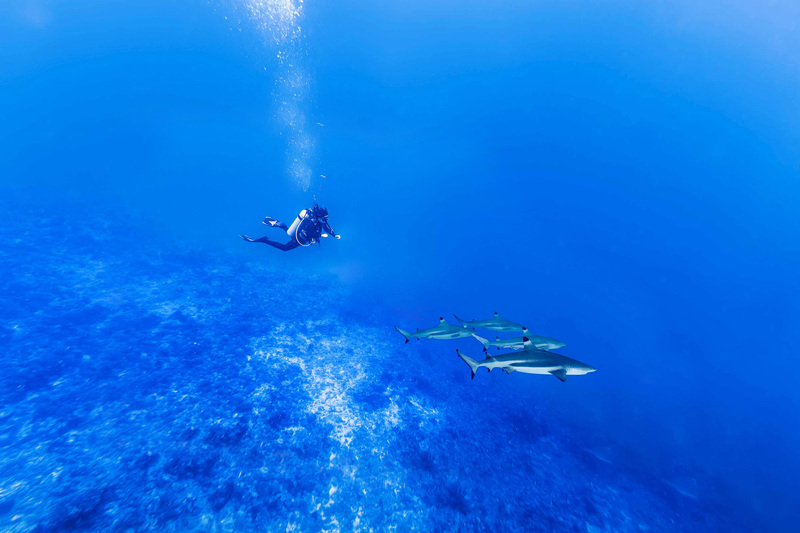 Fakarava offers world class drift diving, incredible marine life including wall of sharks and more! Situated in the middle of the South Pacific, French Polynesia is recorded as one of the last places on the globe to be settled by humans. Research tells us the native Polynesians arrived in the region in 200BC and didn’t settle the nearby islands until 300AD. Europeans sailed by the islands, but didn’t form settlements until the 1800’s and today, France still lays claim to the islands. Both tourism and the sea are key to the locals. Home to the famed Tahitian black pearls. Rich in history, Tahiti was ruled by the native Pomare Family ruled until the late 1880’s, when Tahiti finally became a French colony. In 1957, the islands became a French Overseas Territory and given the official name French Polynesia. In the early 1960s, a large harbor was built in Papeete, an international airport was built in Faa’a, and a huge crew descended onto the islands to film the movie Mutiny on the Bounty. In 1977, the French government granted autonomy to French Polynesia; and in 2004, it became an overseas country of the French Republic.